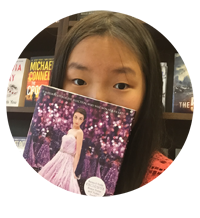 Author Interview with Michelle Krys! I was lucky enough to interview the lovely Michelle Krys, the author of Hexed and the upcoming novel The Dead Girl Society coming out on November 8th of this year! Thank you for letting me interview you! 1. 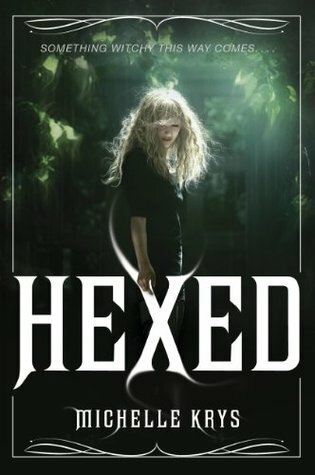 You wrote the amazing Hexed series about witches and magic! What can we expect from Dead Girl Society? What is it about? A: Dead Girls Society is a dark, actioney mystery thriller about a girl named Hope who gets an anonymous invitation to join a high stakes dare club, but soon the promise of a prize is relaced by the fight to stay alive. Think The Skulls meets Pretty Little Liars! 2. Could you explain to us your writing process? On average, how long does it take for you to write a book? A: It's taken me anywhere from four months to a year and a half to write a book. It just seems to get longer and longer! I think a bit part of this is because the more books I write the more commitments I have to my previous books. A: Hexed was easier to write because I wasn't in the publishing business yet so it was mostly a stress free experience. Once I had a book deal I had to start thinking about fans of Hexed, what my agent would think, how my editor would receive the work, etc. and that definitely added an element of pressure. Having said that, Dead Girl Society is probably my favorite because I've grown so much with each book and I feel it's my most accomplished novel. 4. How did you first get published? A: I did it the good old fashioned way: via the slush pile. After I finished writing Hexed (Which at the time was called The Witch Hunter's Bible and was my second novel), I sent out a one page query letter to oh, a hundred and ten, a hundred and twenty agents? Some nibbled, a lot didn't, a few offered representation. The agent I went with (Adriann Ranta! God love her), then subbed my book to a handful of publishing houses. A month later, Wendy Loggia at Delacorte/Random House Children's Books came in with a offer and I've been working with her ever since! 5. If you could be a witch, what sort of power would you like to have? 6. You have to do a book signing and you can do it ANYWHERE you want! Well, perhaps not Mars. Where would you do? A: Do they have bookstores in Bora Bora? 7.Your favorite book to movie adaptation? 8. If you could recommend one YA book to everybody, what book would it be? A: Oooh, that's a hard one! 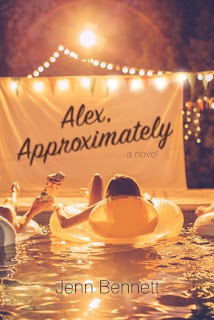 Maybe Anna and the French Kiss by Stephanie Perkins? I don't know anybody who doesn't love that book. A: There are no plans at the moment. (Sorry!!!) But should there ever be a demand I do have the whole thing outlined! 10. What is one piece of advice you would give to aspiring writers? A: Don't give up! There is a lot of rejection in this business, so don't let one person's "no" (Or a hundred people's "no" in my case) be what makes you give up on your dreams. Thank you once again Michelle for letting me interview you! Guys, make sure to check out Hexed and her upcoming novel Dead Girl Society! Author Interview with Rhiannon Thomas! A Signed A Court of Mist and Fury Giveaway!